It's okay to take a time out. The world feels really scary for so many people right now. The news, social media, they're reporting things that can be hard to read, especially when you have a new baby or are expecting to bring one into the world soon. When we are carrying a baby, if we're already parents, we all eventually have the realization that the world's children are our children. We uncover new depths of empathy. This can make the news very hard to watch. It's totally normal for new parents to experience grief and feelings of anxiety during times like these. It's okay to take a minute to just breathe. Find serenity and peace where you can. Please don't forget to take time for self care right now. It's okay to do that for yourself and for your baby. The world will be here when you get back. You have an all inclusive pass, new parents. It's okay. “Just because you're a mom with little ones doesn't mean that it's OK to walk around with wrinkled clothes on being all frumpy looking…. Having children doesn't give you a "look like I just rolled out of bed pass." How about, no. Thank you. It's no secret, we live in a culture that tries to make women, their bodies, their needs, and their lived experience, invisible. I’ve lost track of how many magazine articles I’ve seen, lauding this celebrity parent or that for “getting their body back in just 6 weeks” or “being bikini ready after having a baby.” The problem is, and anyone who has given birth to a baby will tell you this, is that you don’t, actually, get your pre-baby body back. Ever. Your body is irrevocably changed by the process of pregnancy and the forces of giving birth, whether that's vaginally or surgically. You might have plastic surgery, exercise the pounds away, and hide most of the external markers of motherhood, but your body, your mind, and your spirit are all, still, forever, changed. That means your life is forever changed. You shouldn’t have to hide that, and you shouldn’t have to feel ashamed of the changes. Yet our culture sets these unreal expectations up and berates new parents for not meeting them, all when they are at their most vulnerable. 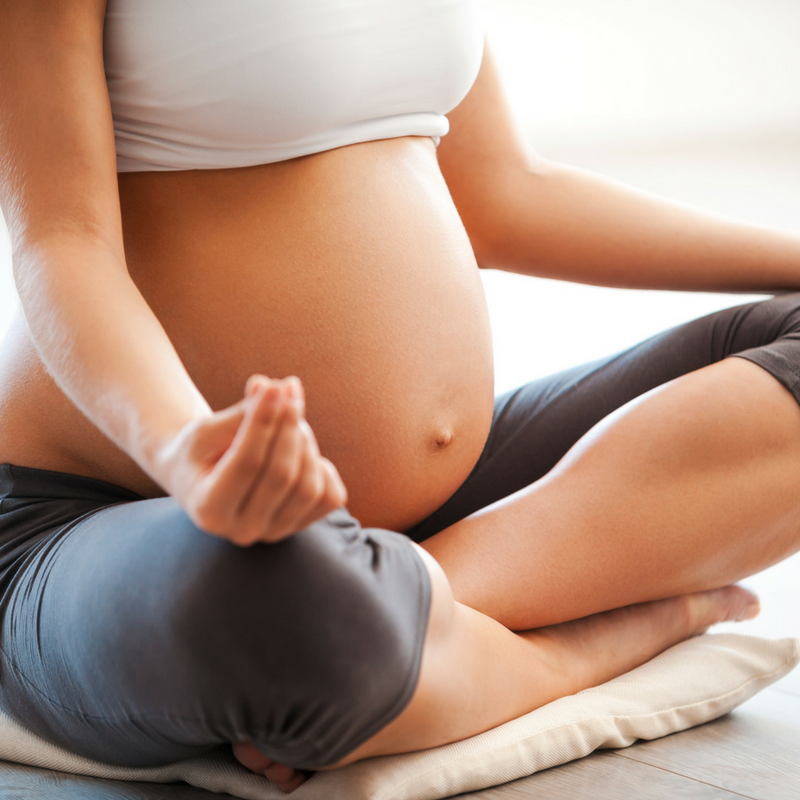 Getting comfortable with your post-baby body and your post-baby life is a big deal! As a birth and postpartum doula, a professional who works with new parents and young families, what I care about is this. Has the person I'm talking to had something nourishing to eat yet, today? Are they getting any sleep (notice I don't say enough sleep, just any sleep) and are they getting any support from their family, friends and community? The last thing you want, when you are stretched that thin, is for someone to give you a hard time over what you’re wearing or whether or not you managed to pull a brush through your hair. Don’t let celebrity and pop culture gas-light you or shame you for your experience. Or parenting "experts" either! Believe me when I tell you, it IS a big change and it’s okay for your priorities to shift after you have kids. Practicing good self care is a challenge when you have children. Yes, it’s necessary and it is worth doing for yourself, but you get to define what that looks like and you get to define how that works for your family. And sometimes meeting those needs means asking for help, when you’re in over your head. The very last person who should be judging you is the person you are paying to help you. New parents, parents of small children, I salute your yoga pants, your pj’s, your leggings. You have a pass to wear whatever the hell you want to wear, and I really only have one question for you. Well, two. Are you getting enough to eat? Did you get some sleep last night? This woman owned, small business supports the LGBTQIA+ community, Black Lives Matter, supports the rights of immigrants and the rights of indigenous people, religious freedoms, civil rights, and this business will always stand for the simple truth that women are PEOPLE who have the fundamental right to reproductive choice. As your doula, I will always support your right to advocate for yourself, with your own voice and in your own words.